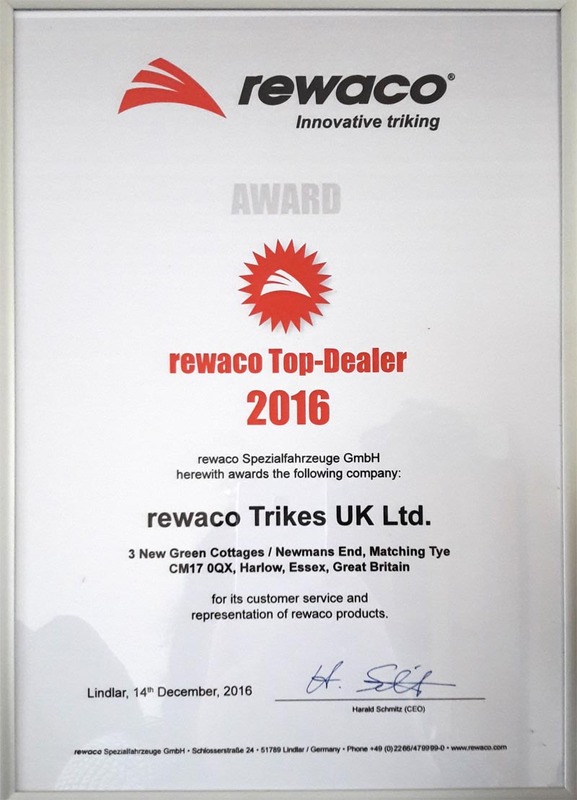 Welcome to Rewaco Trikes UK. We are proud to announce we are the official UK Rewaco importers, and are based in Essex. A family run business, we look forward to helping you choose the right trike for you. Rewaco trikes are individually planned according to specific customer requirements, and hand-built using high-quality components. and are now happy to be able to offer the 1.5 litre Engine with a 7 preset automatic transmission + Power - Shifter function. The new 1.5 litre 4-cylinder in-line (VCT) Mitsubishi engine is the centrepiece, with 81 kW of power (110 hp) for easy going on the road and an advanced 7 preset automatic gearbox. Turbo available. If you decide on a Rewaco trike, you are deciding on a trike that has been built 100% of factory-new parts, and meets the European registration standards. Models available are, Classic Trikes: RF1 GT, ST-2 / ST-3, LT-2 / LT-3 Combination of 2 & 3 Seaters. Your new trike will come with a 2 year warranty, and 6 months road tax. Brightonia 2011 - "Best in Show"
Colin on his pride and joy - "Baby Jess"
Complete with the familiar grin and silverware! BMF "Best in Class" and "Best in Show"
To everyone in and around Wootton Bassett. be part of this special event. Both ourselves and our club members were very moved by your support.